Jurnal Universitas Ivet merupakan koleksi jurnal yang terdiri dari berbagai ilmu pengetahuan yang dikembangkan dan diterbitkan secara berkala tiap tahunnya. Journal of Medives : Journal of Mathematics Education IKIP Veteran Semarang is designed to lecturers, researchers, mathematics teachers, and university students who want to publish their research reports about mathematics education. This journal publishes original articles of action research, experimental research, research and development, qualitative research, didactic development research, and design research. We may process any other kind of research. We accepted any manuscript derived from research of mathematics education. We recommend articles from the following topics: mathematics instructional; mathematics learning evaluation; mathematics curriculum development; experiment or development of mathematics learning strategy; experiment or development of mathematics teaching aid/media. 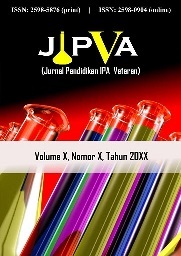 JIPVA (Jurnal Pendidikan IPA Veteran) is a scientific journal in the field of Science Education published online by Science Education Study Programme of Universitas IVET twice a year (in April and November). We publish article of literature review, experimental research, research and development, classroom action research, qualitative research, etc. in science for secondary school, science in primary school, science teaching and learning, physics learning, chemistry learning, biology learning, learning evaluation, curriculum development, and instructional media development. 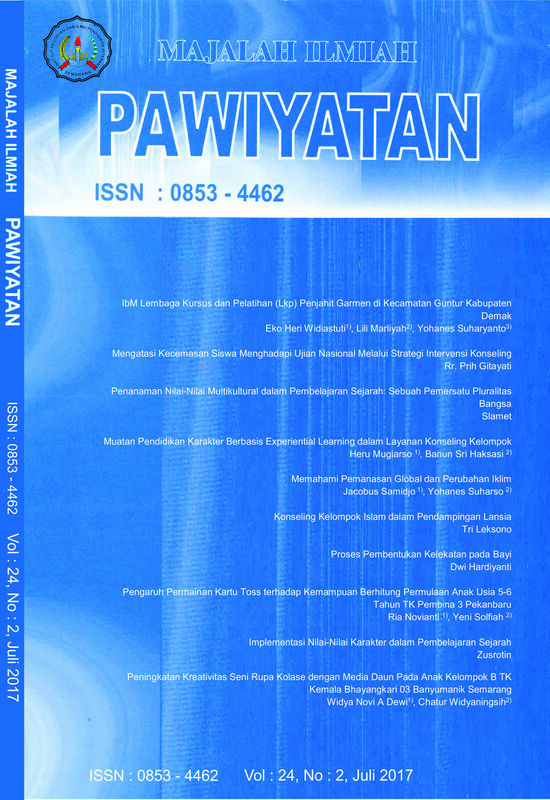 JOINED JOURNAL is a peer-reviewed scientific journal published by Informatics Education Program in IKIP Veteran Central Java . 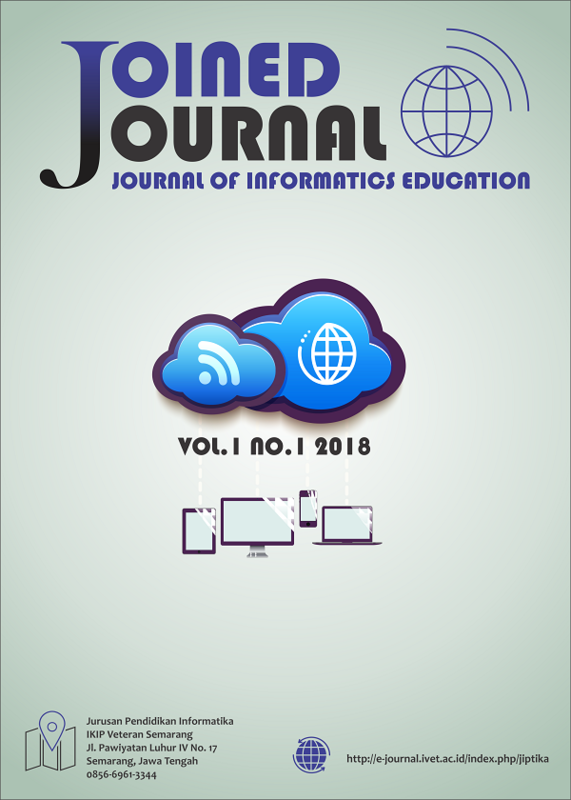 This journal provides a platform for lecturers, researchers, students and practitioners to promote and share knowledge in the field of Informatics Education. Journals published twice a year in March and December contain articles consisting of theoretical and empirical research papers, literature review, and literature review. Pawiyatan adalah sebuah jurnal ilmiah yang diterbitkan oleh IKIP Veteran Jawa Tengah. Pawiyatan menyediakan sebuah platform untuk para dosen, peneliti, pelajar, praktisi dan akademisi untuk mempromosikan pengetahuan dan kredibilitas pada pendidikan. Jurnal yang diterbitkan dua kali setahun pada bulan januari dan juli berisi artikel-artikel yang terdiri dari makalah penelitian teoritis dan empiris berkualitas tinggi, makalah tinjauan dan pengabdian pada masyarakat. Journal of Vocational Education and Automotive Technology (JOVEAT) adalah jurnal pendidikan kejuruan dan teknologi otomotif yang di desain untuk dosen, mahasiswa, guru, dan peneliti untuk mempublikasikan penelitian tentang Belajar Mengajar pada pendidikan kejuruan teknik otomotif, Evaluasi, Penilaian, dan Sertifikasi di pendidikan kejuruan teknik otomotif, Manajemen Sumber Daya Manusia di pendidikan kejuruan teknik otomotif, Sumber Daya Kejuruan di pendidikan kejuruan teknik otomotif, Isu Kontemporer di pendidikan kejuruan teknik otomotif, dan Teknologi otomotif. 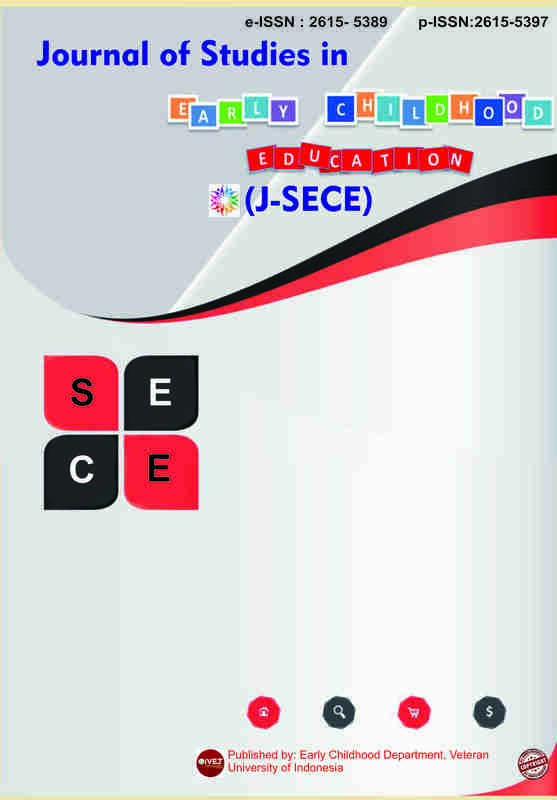 Journal of Studies in Early Childhood Education is an Early Childhood scientific journal published by Early Childhood Education Department of IVET Semarang Indonesia. Journal of Studies in Early Childhood Education publishes research articles, reports field studies, the best practices and policies of early childhood learning, spesical need, and non-formal studies in national and international issues in educational research.